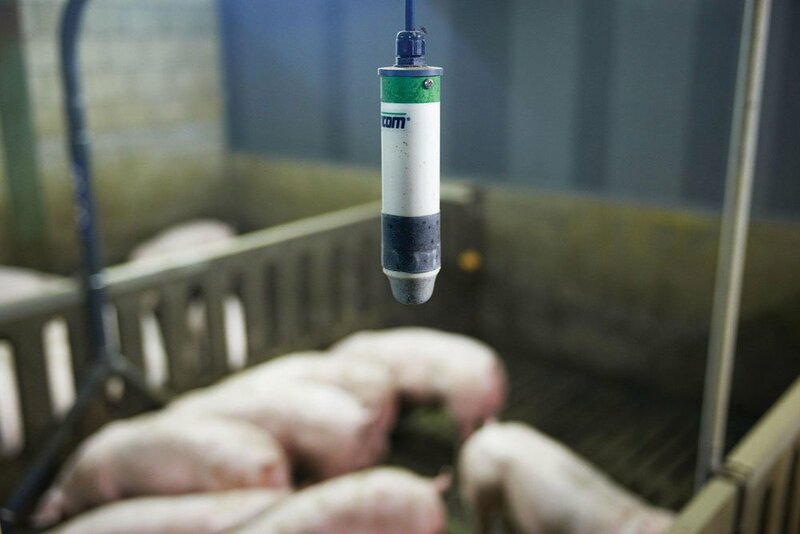 There is no argument new smart technologies are coming in swine production, says an expert in monitoring and task automation in livestock facilities. 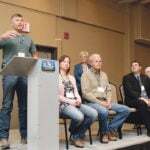 Tom Stein, senior strategic adviser for Quebec-based Maximus Systems, gave nine examples of “smart barn” technologies already in use or on the way at the recent Banff Pork Seminar. “One must remember, these nine technologies are the beginning, not the end,” said Stein. 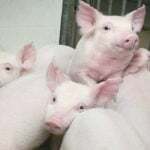 Several monitor the activity and behaviour of pigs in real time, including one that looks for changes in eating and drinking patterns; another that detects estrus in sows; and a third — called the Pig Cough Monitor — that employs microphones and an algorithm to detect respiratory problems in pigs up to two weeks before producers or vets relying on their observations could. Similar technology is used to listen for piglet sounds and squeals to prevent crushing deaths in the first four days after farrowing. When it identifies the unique sound of a piglet being crushed, it sends a vibration to a patch attached to the sow, causing it to immediately stand up. Stein also outlined technology that improves work practices and reducing work. One of the former is called AgVoice, a voice-enabled data entry that allows agriculture professionals to capture insights while on the move. Another system using Bluetooth improves biosecurity by warning workers if they aren’t following proper procedures. And a system called FeedTrackur uses GPS location data and a cloud-based database to let feed truck drivers know if they are delivering feed to the right location as well as providing traceability for feed deliveries. There are two monitoring systems that use Wi-Fi and Bluetooth-enabled smart dosing devices to provide automatic medication delivery, data recording, and weight-based and fixed-amount dosing. 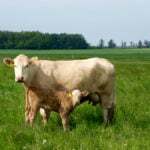 Both systems record treatments, manage medication inventory, and integrate with scales, RIFD readers, and livestock management software. Finally, Stein also outlined technology that uses 3D imaging to estimate the weight of pigs. With a margin of error below four per cent, it can be used to give an average daily weight gain for a pen of finishing pigs. 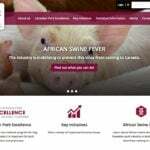 For the full article, go to www.meristem.com (click on Special Reports and then on ‘Smart technologies here or emerging in pork production’ in the 2019 Banff Pork Seminar section).